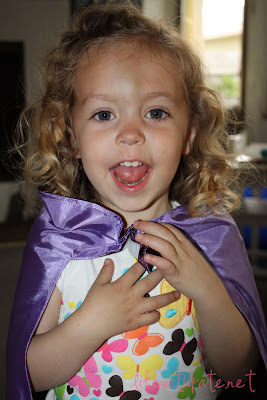 This summer I thought it would be fun to participate in Gussy Sews Inspiration Workshop! Every Thursday I will post my inspiration and interpretation of the weekly prompt. 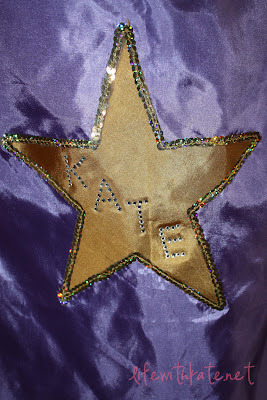 This spring she made my daughter, Kate, a cape complete with her name, a gold start, and plenty of sparkles! 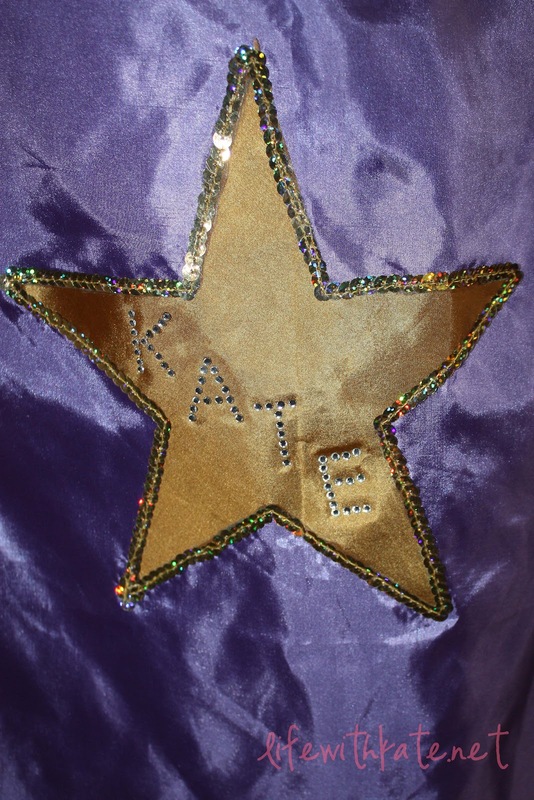 My mom has also made Halloween costumes (for both Kate and myself), dresses, curtains, table cloths, shopping cart seat covers, hats, head-pieces, tutus, and the list goes on and on. Thank you, Mom, for being the queen of handmade in my life! I found you through the inspiration workshop! Thanks for sharing! I'm inspired to be a handmade momma just like yours! 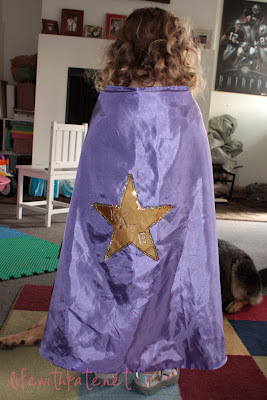 I can't wait to be able to make things for my kiddo!